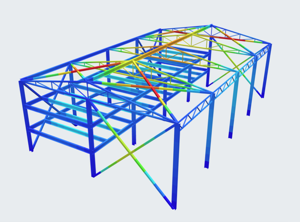 Instant access to powerful cloud based Beam, Truss, Frame and Section Software! This calculator is currently in BETA testing mode. Currently only 2D Plane Stress is available, however 2D Plane Strain and 3D Plane Stress/Strain will be added later. If you notice any bugs or have any suggestions please mention them in the comments below. This is very helpful. It would be way better if we can add up an angle. PLEASE MAKE THE STRAIN MOHR’S CIRCLE WORK!!!!!!!!!!!!!!!!!!!!!!!!!!!!!!!!!!!! This is amazing and so helpful!! Only bug for me is that text is overlapping in the Mohr Circle graph. It would be awesome for it not to overlap so I could screenshot the image or if I could download an image of it, that would be also very helpful. Found that I can rearrange the text on the graph. Hi Nisarg. The scale is not that simple – the calculator’s scale will always change to fit in the mohr’s circle and so the scale could really be anything depending on the numbers. Would I be correct in assuming that there are plans to show the correct orientation of the element – at present this feature does not appear to be working. Yes that will be done later. We’ve been working a lot on SkyCiv but these calculators need love too. If we could go on rotating a certain degree angle in the Mohr Circle from the point decided by the parameters of the right side in a given element, it will be much powerful. Yes hopefully we can add something like this in future. Thanks for the suggestion. I agree with that very, very much. There is a syntax error in maximum shear stress formula. It should be the square root of that. It will be great to have the capacity to find the stresses after rotating certain degree. Do not send me email motifications.Send me an email notification ONLY if someone replies to my comment(s).Send me an email notification whenever a new comment is posted.